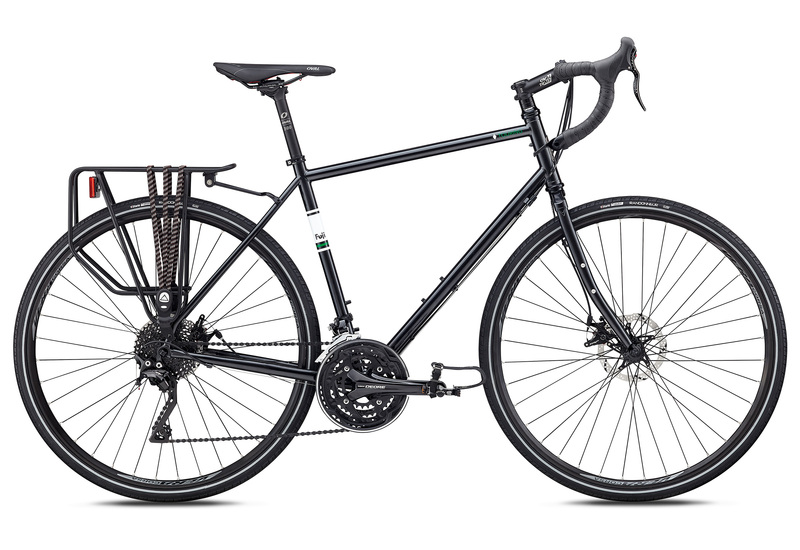 With a geometry that's perfect for multiple long days in the saddle carrying a heavy load to your destination, the Touring is Fuji's classic steel touring bike. 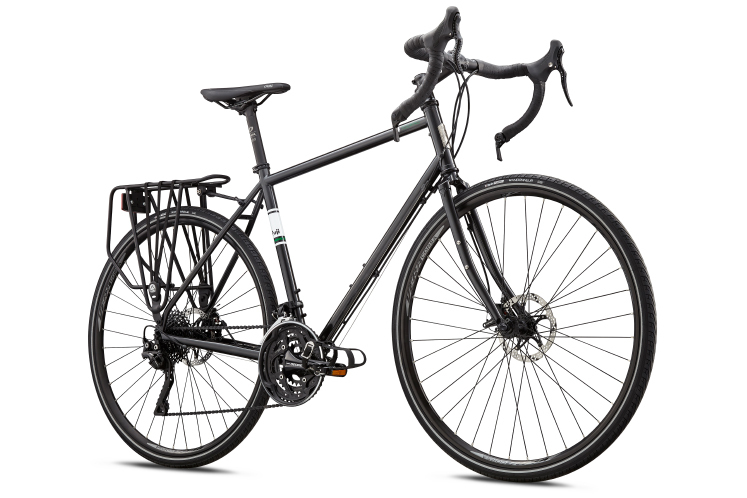 If you're looking for a reliable and comfortable workhorse that can take you cross country, across your state or across town the Touring is the bike for you. Available in flat-mount disc or linear-pull brake versions. Reynolds chromoly steel frame is both durable and lightweight. Geometry is designed for all-day comfort while fully loaded, with a longer wheelbase and lower bottom bracket for enhanced stability. 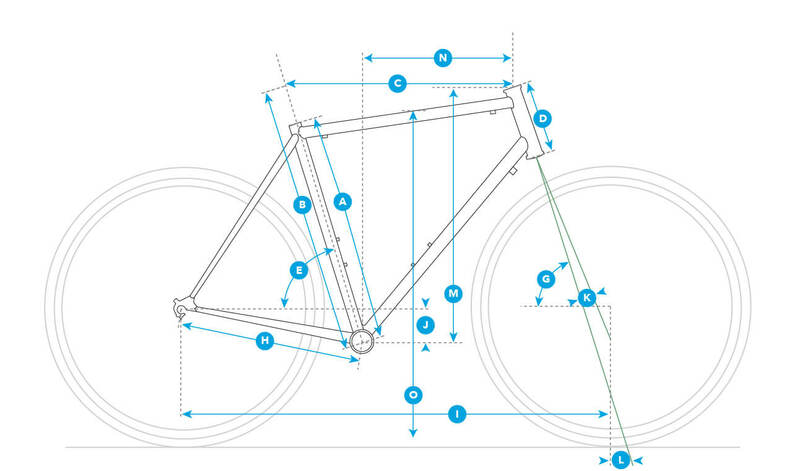 Shimano drivetrain with ultra-wide 3x9 or 3x10 gearing ranges allow riders to tackle both climbs and flats with ease. 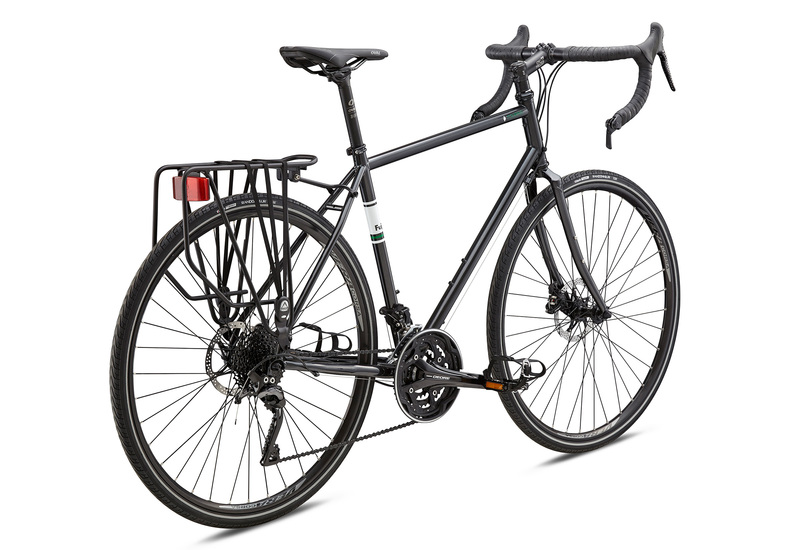 Ultra-sturdy rear rack, dual eyelets for installing additional racks, and low-rider mounts on the fork to secure front panniers. 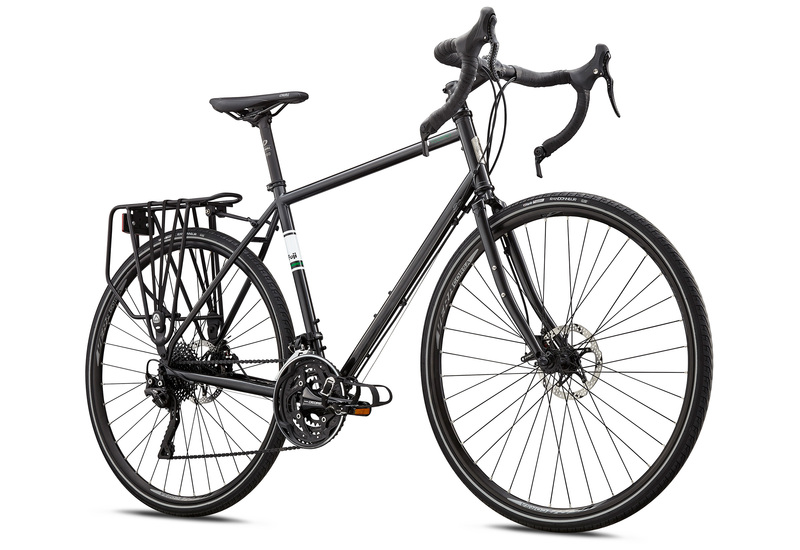 36-hole double eyeleted rims and Shimano Deore hubs provide increased durability for miles of trouble-free riding.